Pictured below are some images and details of items pertaining to this maker. 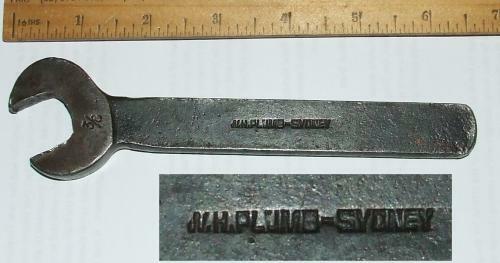 help with research into this maker, please make contact through the Contact form on the contact tab or the link above. The history of Plumb is a complicated affair with various name changes and different entities emerging along the way. At the final stage, they changed their name to HYTEST in 1946 and this was used on their axes to differentiate the company from American Plumb axes after litigation from Lafayette Plumb. We are still trying to unravel the accurate history, and if anyone can contribute information to that end, please make contact. 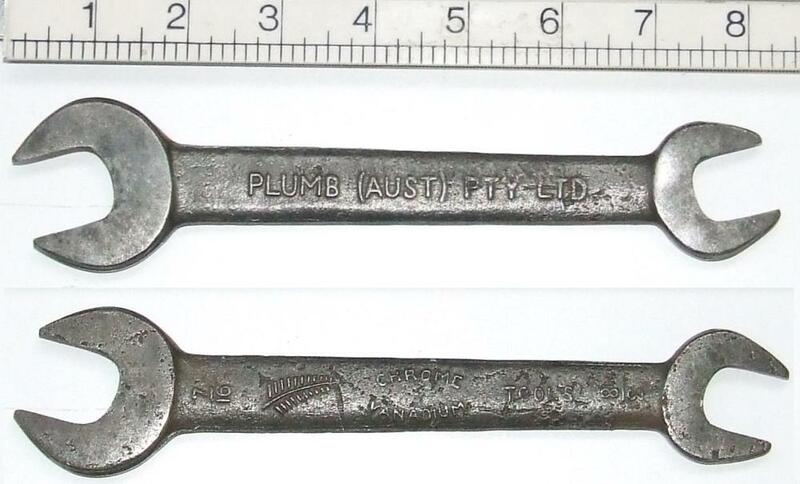 Shown below are some examples of their spanners and panel beating tools, but WH Plumb made a variety of other lines. 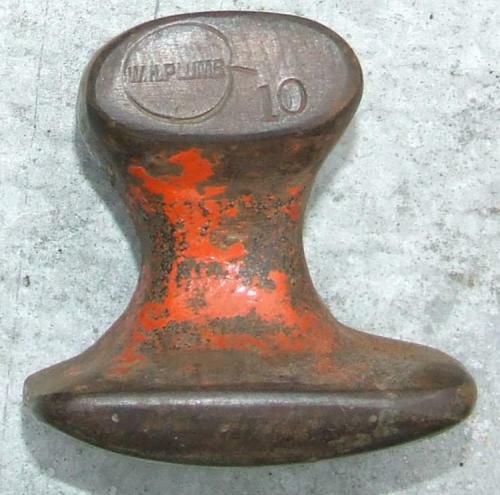 Plumb also made panelbeaters hammers - planishing and other types. 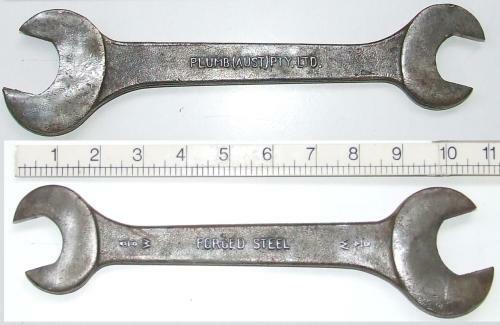 "5/8 W FORGED STEEL 3/4 W"
Marked W.H. PLUMB - SYDNEY"
Large flare nut spanners marked "ALL AUSTRALIAN"
Also marked with outline of a plumb with letters inside "WH PLUMB, 1941"
"7/16 Fern pictorial, CHROME VANADIUM TOOLS 1/2"
Plumb made a variety of panel beating dollies, marked with the plumb outline and WH Plumb inside or just Plumb inside.